This is the sort of outfit you may find while sifting through items at Junk Church. Even Bing and Bowie are into the idea of Spokane having a semi-regular flea market. Spokane has plenty of first-rate vintage/antique/thrift/second-hand types of stores, something we should be thankful for. But where are all of the flea markets? Where are the swap meets? These types of large-scale events are woefully absent from the Spokane used goods scene — the Farm Chicks show once a year just isn’t enough. Thankfully, the people at Stella’s are now filling that gap hosting Junk Church the first Sunday of the month. What began as an outdoor collaboration last year started up again this fall with a vengeance. 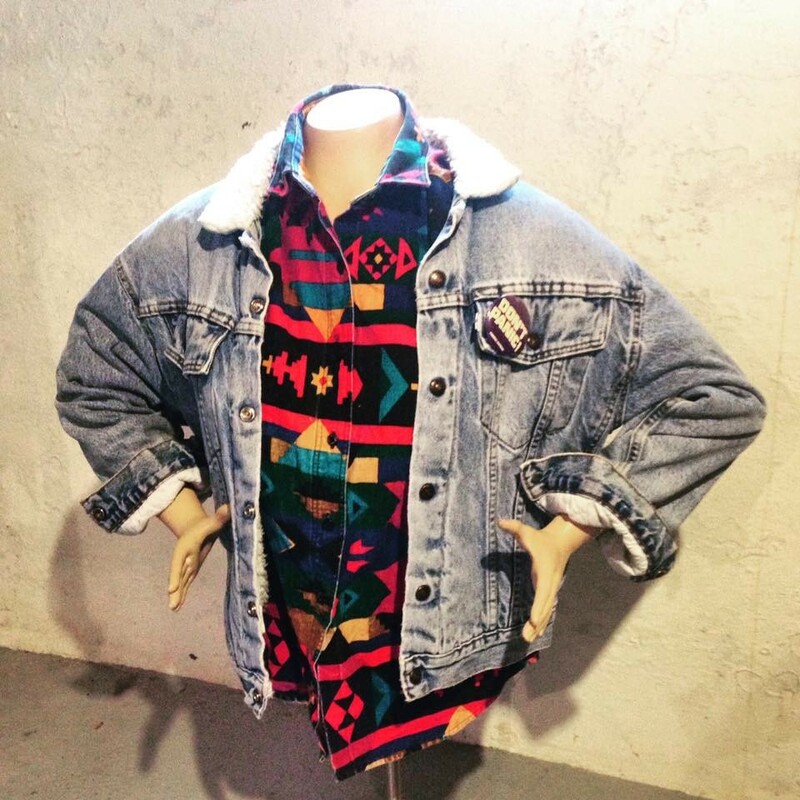 For those in the market for vintage clothing, knick-knacks, toys, art, lunch boxes and records, Junk Church provides a warm (yes, it’s indoors) environment to find one-of-a-kind pieces. Plus, Stella’s serves its slew of delicious sandwiches, soup and cookies while the event is going on. Various boutiques, such as Veda Lux, have also gotten in on the Junk Church action, hosting their own booths at the event. The last Junk Church, two weekends ago, was so full that vendors had to be turned away. 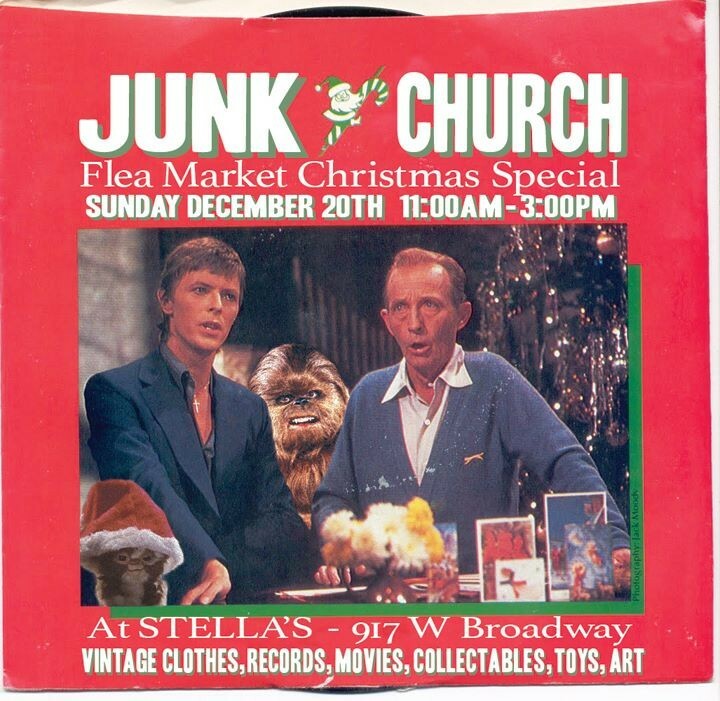 This weekend, Stella’s plays host to a special Junk Church: the Xmas edition. The market will be open 11am-3pm and feature a ton of holiday-themed items and distinctive gifts. It’s free and open to the public. All vendors wanting to participate can call Stella's (326-6475) during business hours to reserve a space. There are about 12 spots allotted for each event. "All of the stuff here, it's all things I want to buy," Kiehn says. "It's not actually junk like you may find at an actual flea market. This is so much better."